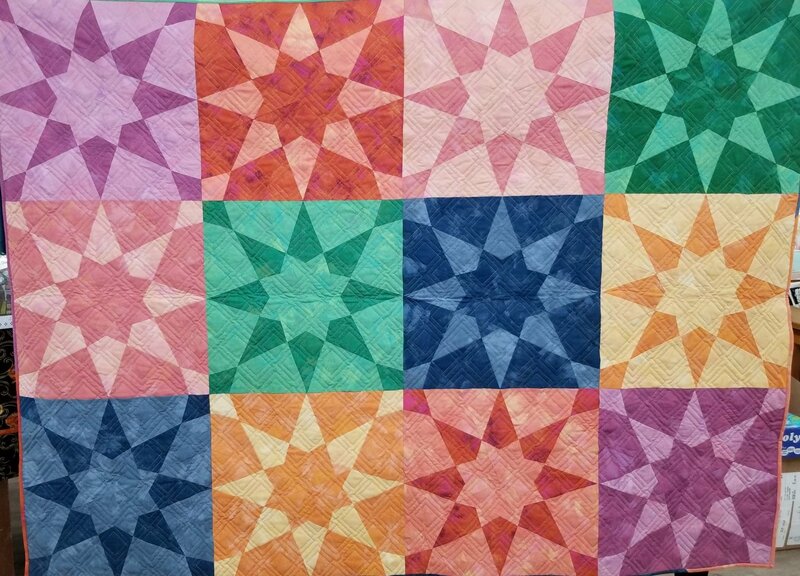 Create a modern star quilt using Sharon’s method of foundation paper piecing. The quilt measures 54” x 72”, but is easily modified. Make it in a beautiful full range of color or in a more limited palette.